A recent exchange with Ann Morgan, who’s currently reading her way round the world, got me thinking about Reunion Island books in English. 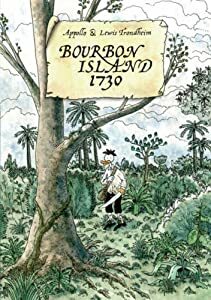 As far as I’m aware, with the exception of ‘Bourbon Island 1730’, the list I came up with contains only books that I have been written directly in English and not translated. In fact as far as I know there are no English translations of books by well-known Reunionese authors like Daniel Vaxelaire or Axel Gauvin, although the latter’s books have been translated into German. Crags and Craters: Rambles in the Island of Reunion by William Dudley Olivier (this is my favourite). Six Months in Reunion: A Clergyman’s Holiday, and How He Passed it by Patrick Beaton (I didn’t like this much). Madeleine’s Children: Family, Freedom, Secrets and Lies in France’s Indian Ocean Colonies by Sue Peabody. A very well-researched historical biography of the slave Furcy and his family who famously went to court to fight for his freedom. Vanilla: travels in search of the Ice Cream Orchid has four chapters set in Reunion Island. I’ve written reviews of all of the books above. Also: Bonnes Vacances! : A Crazy Family Adventure in the French Territories by Rosie Millard which is about a 4-month tour of the DOM-TOMs Rosie made with her husband and four young children to film a documentary series for the Travel Channel (“Croissants in the Jungle”). Its final chapter covers Réunion (briefly); see my review here. In the introduction I mentioned Ann Morgan who is currently reading her way around as many of the globe’s 196 independent countries as she can, sampling one book from every nation. (She’s also recently included a Rest of The World wildcard section, hence our exchange about Reunion Island). However as she asked herself: what counts as a story? Is it by a person born in that place? Is it written in the country? Can it be about another nation state? While in some respects she’s still answering that question she had to lay down her terms and so decided to limit herself to all narratives that could be read to full effect by one reader on their own e.g. memoirs, novels, short stories, novellas, biographies, narrative poems and reportage, but not non-narrative poetry and plays. I’ve arbitrarily excluded the UK, France and the USA as I’ve read so many books from these countries I’d have trouble choosing just one! 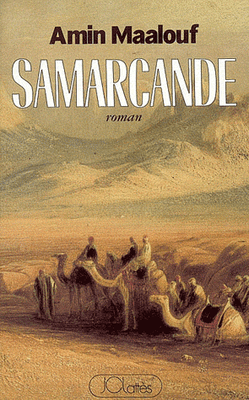 If I’ve read several books from a country I’ve generally just listed my favourite. I’ve also taken liberties by listing some non-independent regions (e.g. Rodrigues, Hawaii, Tibet, Tromelin). I excluded some books (such as Ann Patchett’s Bel Canto, or William Boyd’s African novels) that take place in unidentified countries. I also excluded books (such as Elie Wiesel’s Night) whose action takes place in several countries. If I’ve read a book in French but an English translation exists I’ve added the English title in brackets . I’ve included books not written by natives of the country in question. I have vast swathes of the planet where I haven’t read any literature from, for example South America or the Pacific! Places like South East Asia or Central Asia are patchy too. Although I list Paul Coelho and Isabel Allende the books of theirs that I read were not set in their native countries. And despite living and travelling for three years in Asia I’ve mainly read Korean books (North and South) but very little from the many other countries we travelled to in the region. I need to broaden my horizons even more. What about you? Do you enjoy reading books from other countries? Do you have any books to recommend? Is literature from your native (or adopted) country easy to find in English? P.S. Here’s the link to Ann Morgan’s blog: A Year Of Reading The World. Other reading around the world blogs I’ve come across are: Reading the World, The Rushlight List, World Lit Up and Around the World in 180 books (specialised in children’s literature). You might also like: A few books with linguists as characters. What an interesting idea! Makes me wonder about my own library…. If you’re looking to add Syria to your list, I recommend “La preuve par le miel” by Salwa al Neimi. Banned for being scandalous in most Muslim countries, gives a very interesting perspective on a “conservative” religion. Thanks for the suggestion – I’m definitely interested in recommendations, and that sounds good. I’ll add it to my wish list! 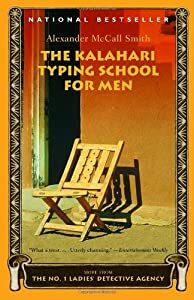 I try to read books written by native authors; however some authors like Alexander McCall Smith or Daniel Mason are not natives but have lived for varying lengths of time in the country about which they write. 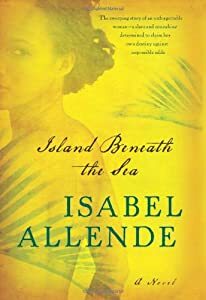 Others, like Paulo Coelho or Isabel Allende are contemporary authors writing historical fiction about countries other than their own. And then there are places like Tromelin, with no permanent residents! What a great post, Catharine! The romance of travel, in books. I’ll be looking at my bookshelves from a new perspective – and I think I’ll be plundering your lists! Update: on July 15th 2013 the BBC published an article about Ann Morgan reading her way around the world; see: http://www.bbc.com/culture/story/20130715-reading-the-world-in-365-days.